Trainees in the region interested in pursuing a career/vocation in injury prevention may choose from a broad array of courses to develop their knowledge and skills. 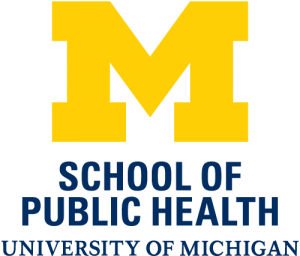 University of Michigan’s support for injury education is vast, with significant educational and training resources. 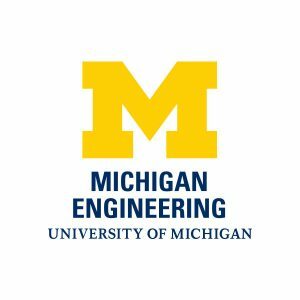 Below you will find a listing of injury-related graduate-level courses currently available at the University of Michigan. This list is updated continually, and we will add more courses as we move forward. Please contact us if you know of any courses we should add to the list. Note: ‡ denotes REQUIRED courses that count toward the Certificate Program in Injury Science at University of Michigan. * denotes ELECTIVE courses that count toward the Certificate Program. Please refer to the complete requirements, available from the Registrar’s office, to fully understand which classes are required and which are electives. All elective courses are not noted in the list below. This course will focus on issues of relevance for social work in the field of interpersonal violence. The topics will change over time, and thus it will be able to respond to the latest developments in the field. The course will integrate content on privilege, oppression, diversity, social justice, prevention and promotion, and ethics in each topic chosen. The seminal and emerging social science theories and research will be applied to the areas of violence being explored. This integrative seminar will integrate micro and macro levels of practice; research in child welfare and related fields, as the research relates to all levels of practice; the relationship of child maltreatment and other social problems; and perspectives from several disciplines, specifically social work, other mental health professions, law, and medicine, as these disciplines address problems of child maltreatment and child welfare. The seminar will highlight issues of social justice, disproportionality-particularly the over-representation of children and families of color in the child welfare system, and diverse populations, including children in general and poor children in particular. This course describes the nature of public policy interventions within the various domains of public health, the theoretical motivations for undertaking them, the influence of the political, bureaucratic, and social environmental in which policy decisions are made, the consequences of such decisions, and the key dimensions of analysis of the effects of public health policies. In addition to conceptual discussion of each of the above, the course includes evaluation of several case studies of public health policy decisions and their implications. This course will challenge students to develop creative approaches to reducing the risk of brain injury in youth and high school football. Students will work in multi-disciplinary teams, under the guidance of the instructors, to conceive and propose novel solutions that draw on insights from law, engineering, medicine, business, ethics, and other relevant fields. Each student team will address a specific sub-topic relative to the course theme. Sub-topics may include: What changes in the rules governing practices, participation, and play should be instituted? What kinds of protective and monitoring equipment should be used, and under what protocols? How should such equipment be financed and distributed? This course provides a broad overview of some of the most important and current challenges to human health from environmental and occupational risk factors while teaching the basic knowledge the basic knowledge and multi-disciplinary skills used to assess, control, and prevent them. We will address specific threats, such as outdoor and indoor air pollution, toxic metals, pesticides, radiation and occupational stressors; analyze impacts on specific diseases and injuries, such as cardiovascular disease, asthma, cancer, musculoskeletal injuries and impaired child development; and introduce emerging threats, such as the hormone-mimicking potential of plastic chemicals and the impact of global climate change on heat-related mortality and shifting patterns of infectious disease. Emphasis will also be given to understanding the worsening environmental health impacts of industrialization on developing countries, the effects of globalization, such as the growing movement of hazardous industries, products, and wastes across borders, and the rise of the environmental justice movement. The purposes of this course are to examine the legal context of the relationship between the individual and the community, and to understand public health regulation in the context of a market-driven system. The goals of the course are for students to understand generally: constitutional authority and limits on governmental intervention in public health (i.e., individual rights vs. society’s rights); the functions of and interactions between courts, legislatures, and regulators; how law will affect students as strategic thinkers in public health positions; how to recognize legal issues and communicate with attorneys; and the process of public health regulation and potential legal barriers to public health intervention strategies. Specific topics will vary, but will usually include: the nature and scope of public health authority; constitutional constraints on public health initiatives; tobacco control; youth violence; injury prevention; the spread of communicable disease; and regulating environmental risk. This class can be taken as an elective, in fulfillment of the law/politics requirement, or as a BIC requirement. This course provides an overview of human factors and driving to help engineers design motor vehicles that are safe and easy to use and to provide basic knowledge for those interested in conducting automotive human factors/ergonomics research. The focus is on the total vehicle (all aspects of vehicle design) and for an international market. Key topics include design guidelines, crash investigation and statistics, driving performance measures, vehicle dynamics, occupant packaging and driver vision. Survey of occupational safety management methods, theories and activities. Topics include: history of safety engineering, management, and worker compensation; collection and critical analysis of accident data; safety standards, regulations and regulatory agencies; theories of self-protective behavior and accident prevention; and analysis of safety program effectiveness. This seminar provides an opportunity for graduate students interested in occupational health and safety engineering problems to become acquainted with various related contemporary research and professional activities, as presented by both staff and guest speakers. Firearm violence is a leading cause of death and disability for young people in urban settings. Students will study underlying causes of firearm violence and explore novel public health, public policy, criminal justice, and other problem solving strategies to reduce negative firearm-related outcomes, including firearm homicides, non-fatal shootings, and access to illegal firearms. Class time will be spent reviewing background information, engaging in discussions, and hearing from outside experts. Students will also spend time outside class performing research related to the problem in order to produce a meaningful, innovative solution at the end of the term.